We are excited to announce the arrival of brand new balanced regulators! To start the New Year right we decided we need to supply our divers with easy breathing, top-of-the-line diaphragm balanced regulators. Turn learn more about the differences of regulators give a read to ThoughtCo’s Regulator Basics. 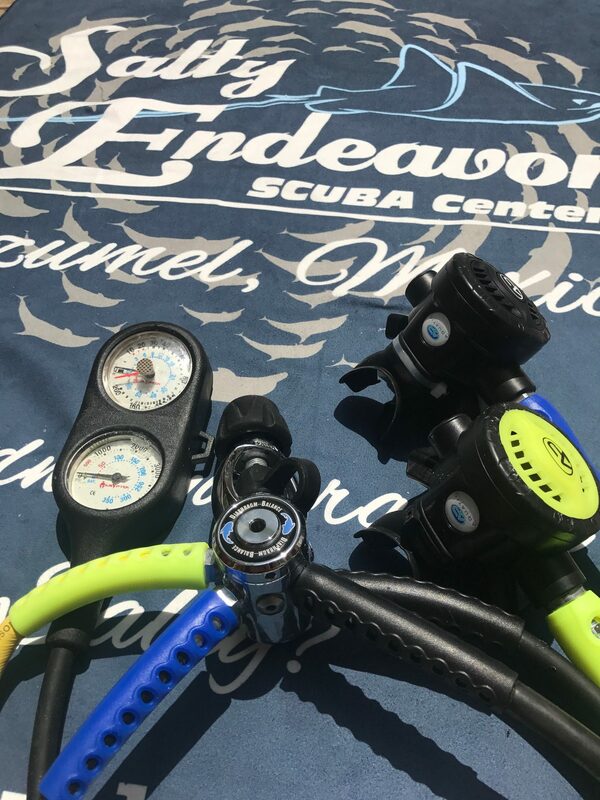 Briefly, the reason why we choose to use balanced regulators in our rental gear is because, “A balanced first stage supplies air at a constant intermediate pressure, regardless of the pressure remaining in a scuba diver’s tank. Why are balanced regulators important? 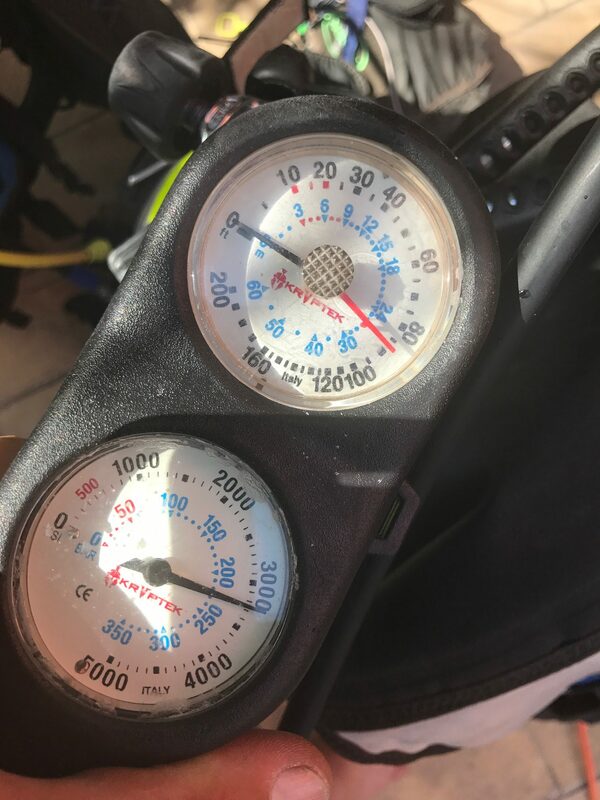 This is important because first stages must function with very wide range of tank pressures, such as 3000 psi in a full tank to under 500 psi as a diver depletes his air supply.” In short, it makes your breathing, from start to finish of your dive, easy, regardless of tank pressure and depth. In order to accommodate all our dive buddies from both sizes of the pond we choose to use a console which was both metric and imperial. Feet or meters, BAR or PSI, we’ve got you covered. But we were not done there! We felt the second stages could use a bit more comfort to them as well. So we picked up handful of swivels and installed them to all our primary second stages. Lastly, we upgraded the mouthpieces to ultra soft and cushioned grips. Say good-bye to jaw fatigue when using our rental regulators!